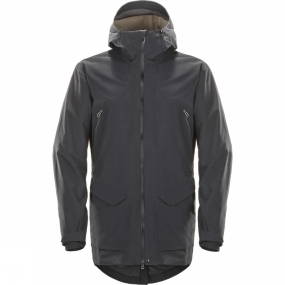 Haglofs' sustainable Torsång Parka provides waterproofing and insulation in a neat combination. Fully equipped with taped seams, as well as both QuadFusion and Polartec® pile fleece as insulation, this piece will keep you warm and dry all winter. We've built it with bluesign® approved materials, respecting the environment it'll put you in.